David V. "Dave" Berardi was born February 6, 1922 in Pennsylvania in the mining's village of Nemacolin. His parents are Italian immigrants original Sant'Agata Feltria, near Rimini, San Marino. The family has 9 children, Dave has 4 brothers and 4 sisters. On December 2, 1942, he was drafted, he was sent to Pittsburgh and then to the selection center at Fort Meade. 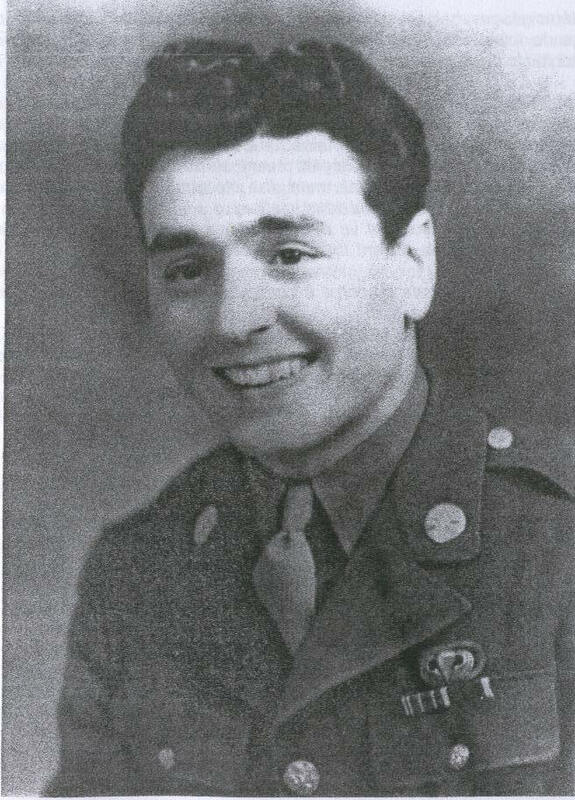 On January 12, 1943, Dave Berardi volunteered for the paratroopers, he was sent to Fort Bragg, North Carolina where he joins Company A, 1st Battalion, 505th PIR of the 82nd Airborne. On July 9, 1943, Dave Berardi participating in the first attack Airborne Regimental. The men then vaulted the weather conditions were not good. The wind was blowing at over 56km/h and training, a paragraph does not jump over 25km/h. During the fighting, the paratroopers had to face the Italians in particular the General Guzzoni who counter attacked the Germans and especially the terrible elite division "Hermann Goering". During the fighting, Dave was wounded. He also sent his medal to his mother in a box of rations K.
On March 12, 1943, Dave Berardi participates in the jump on the beachhead at Salerno, where he met again the troops of the "Hermann Goering". He participated in the Italian's campaign. Then, Dave and his comrades were sent to England to prepare for the offensive on the Fortress Europe. On June 5, 1944, at 11:15pm, the aircraft taking off to Dave Berardi towards the DZ O devolved in the 505th PIR. Compared with other paratroopers, 98% of men are on target a few hundred meters of Ste Mere Eglise. One objective was the capture and defense of the bridge of La Fiere which led to the loss of 81 men on the 147 that had the Dave's company. On 66 remainders, 20 raised multiple bandages and needed urgent care. Dave Berardi was among them. On September 17, 1944, Dave Berardi participated in his 4th combat jump during Operation Market Garden in Holland. At Groesbeek, Dave Berardi risked his life providing ammunition to a small group of men became trapped in a house surrounded by the Germans. Among these men was Robert "Bob" Murphy (see Chapter VETERANS). But Dave Berardi was again shot in Mook. He received his 3rd Purple Heart. He was hospitalized and shortly after a brief rest period in England, he rejoined his unit in France in the region of Reims. On December 16, 1944 is the Battle of the Bulge. In non-sheeted trucks, Dave and his companions are sent to Belgium, first of all towards Bastogne and then towards Werbomont. Bastogne returning to the 101st Airborne. The fate of Dave Berardi ends tragically on January 6, 1945. The 505th PIR has to move towards Arbrefontaine. Dave is a scout sent aboard a Jeep Wyllis because the attack would depend on the situation on the heights of Arbrefontaine. Early in the morning, Devant le Bois street, Dave approaching a bend. He does not know, 300 meters after the turn: 2 Tigers. The first occupies the hairpin towards Goronne, the second is farther away. It occupies another crossroads facing towards the railway. The jaws of the huge 88mm cannon is masked by a white cloth. Nobody saw anything coming. A shot, only one. David V. Berardi is killed instantly, he is older than 22 years. 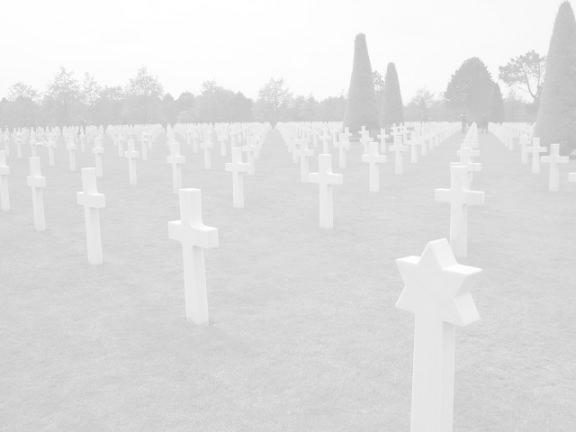 At first, his body was buried in Henri Chapelle cemetery. Since 1947 he rests in the United States to Nemacolin near his parents. I died with weapons in hand but I'm not a bloodthirsty warrior. I'm just a good soldier. I was devoted to my country and I have to honor my flag. I'm proud to have participated in campaigns through which men, women have regained their lost freedom. It is liberating that I'm dead. If it was to do again, I would. Excerpt from "Angels of Mons", book. Michel BARA, the cousin of Dave Berardi.